Eleni was kind enough to visit me in hospital when I was sick. Eleni worked for me as a dental nurse as she went through dentistry at university. After she graduated, unfortunately at the time I did not have work for her as a dentist. She found work on the South Coast. She recently returned to Sydney and lives near where I live. She also brought me the news that 30% of the elderly and very young people, die of streptococcal pneumonia. That was ok to hear the news as I was getting better. The hospital had moved me out of the respiratory ward into the oncology ward! As I lay in bed I knew I needed to take a week off work. However, on the Tuesday I was not able to find a dentist to cover that day. Well I asked Eleni if she was doing anything next Tuesday? No. Would you like to work? Yes. Eleni to the rescue, and she has been rescuing me ever since. The week I went back to work I asked Eleni if she could work part of the day with me to help ease the load. She has been helping ever since. Eleni has a Bachelor of Dentistry and a Bachelor of Science (Hons) from Sydney University. She graduated from Dentistry in 2007. She has attended continuing education courses throughout her career with special interests in endodontics and restorative and implant dentistry. We occasionally go together after work to a dental course held at the Ritz Cinema every 2 months or so. It’s called a webinar, where sit in a movie theatre watching a live lecture and audio visual display from a dentist somewhere in Australia. Professionally, Eleni has accumulated experience in all aspects of general dentistry. Her practice of dentistry reflects her demand for high quality patient care and her exposure to the latest dental technology and skills. She has strong convictions with regard to preventative and minimal intervention dentistry which will always continue to be maintained in her ongoing endeavours to provide the best treatment plans for her patients. Eleni gets great satisfaction helping some adults and children to overcome their dental phobias in order to complete their requisite treatment. 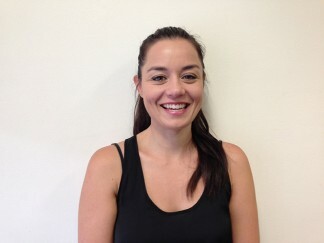 Eleni enjoys spending time with her husband, family and friends and, in particular her nieces. She enjoys anything to do with food including home cooking, fine dining and trying new cuisines.